Very nice. Answered all my questions and was very patient with me even thou I went in there with a millionideas and opinions. She heard them all and then gave me the best advice. Very excited to start the Accutane treatment with her!!!! Very nice. Answered all my questions and was very patient with me even thou I went in there with a million ideas and opinions. She heard them all and then gaveme the best advice. Very excited to start the Accutane treatment with her!!!! The office is beautiful and everyone was super friendly. Was taken at exactly my appointment time. The doctor came in immediatelyand talked to me about my concerns. It was a quick appointment, but I didn't feel rushed. The office is beautiful and everyone was super friendly. Was taken at exactly my appointment time. The doctor came in immediately and talked to me about my concerns. It was aquick appointment, but I didn't feel rushed. Dr. Sairah Khokher is a board certified dermatologist. She obtained her dermatology training at Rutgers-Robert Wood Johnson School of Medicine where she is the chief resident. Her interests include skin cancer and medical dermatology with a special interest in Vitiligo, Cosmetic Dermatology, including Botox, Fillers, Lasers, PRP, Thread lifts and Sclerotherapy. 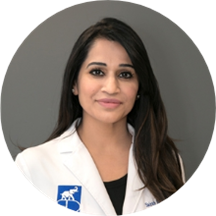 Dr. Sairah Khokher has presented at Greater Society of NY, NJ Derm Society, NY Academy of Medicine, Lenox Hill Hospital, has published several scientific articles in peer reviewed journals and is currently a member of the AAD, ABD, ASDS and National Vitiligo Foundation. Dr. Khokher was so compassionate, thorough and patient! I drove across the state of NJ to see her! I met with Dr. Buga, not Dr. Khokher. She was nice but i did feel a little uncomfortable during the appointment as she seemed to be a little disgusted with my skin problem. (And i was already feeling self conscious.) However,she did seem to care and want to help. Overall, she seems like a good doctor. Overall a very nice experience. My son was seen while I was still filling out the new patient paperwork (side note, for some reason it was not transferred through zocdoc even though zocdoc sent me a notification that it had been). This dr is very professional and very friendly. She does a thorough job and makes you feel very comfortable. Staff was awesome! Even though I was the last patient of a long day, they were willing to put in the work to treat me as if I was the first. Spent less then 5 minutes with me. Prescribed expensive creams, don’t work. Very professional and thorough. Short wait time and clean office and exam room. Staff is nice, but the doctor came in and left my room so quick, that I have no idea what she wanted me to do and when asked if I had any questions she already had her hand on the doorknob so I didn't bother and hoped all info would be on the rx. La Dra es amistosa, profesional....muy humana. Estoy muy agradecida de su trato. Visit was easy, no waiting time at all. Doctor was friendly as well. The doctor was very pleasant and I did not have to wait at all. She listened to me very attentively and address my situation. She was nice and on time ! Never a single complaint with this place—NEVER! Dr. Khokher performed a cosmetic procedure last week. She told me my skin would clear up even more after several days. 3 days after the procedure my wife said the doctor did a great job and your skin looks much betterespecially around my eyes. Dr. Khokher is highly recommended! Amazing. Easy to talk to and GENUINELY cares about your cases. She's fabulous! Fantastic second experience with Dr. Khokher. She is friendly and efficient. Highly recommend! Dr. Sairah is so sweet and very professional. She was very attentive and listened to my concerns. She made me feel at ease. Dr. Khokher was timely, answered all my questions and made me feel at ease. I had to have a quick biopsy and it was quick and painless. Atenta amable sonriente prof esional. From the moment I walked into the office I was greeted with warm & friendly smiles. The entire staff was very polite and professional. The office ran very smooth and efficiently. I was seen almost immediately. Dr. Khokher was extremely knowledgeable.She was straight forward about my treatment options and about all the pros and cons. I just booked another appointment with Dr. Khokher, she is highly recommended! My visit to the doctor was great! The doctor was very friendly and answered all my questions regarding my skin. The visit was quick and everything went well. The office was professional, quick, clean, the staff was courteous. Great place. So glad I found it. Dr. Khokher is fantastic. She has a fantastic bedside manner and sits down with you and goes through all your options. She wants you to make your own choice in terms of treatment, but she is happy to give her recommendationand advice. Dr. K looks at your entire medical history when deciding what medicines to prescribe for you. The offices are clean and modern and the wait time was virtually non-existent. I tried a lot of Dermatologists in Middlesex County and Dr. K is by far the best one I have encountered and she will be my regular doctor. Super nice staff. Fast service. Wasn’t expecting to be in and out so fast. Would recommend in a heart beat. She's amazing. Listens and truly cares. The Dr. took her time and explained everything. Even different options. The wait was no more than 5 minutes. Very intelligent. She was informative, efficient, and kind. Always helpful, professional and an easy visit. I was very pleased with the office and all staff that I had the pleasure to meet. Be careful if you want to get a mole removed and ask if your insurance will cover it or not. For 2 min you can end up paying a lot.